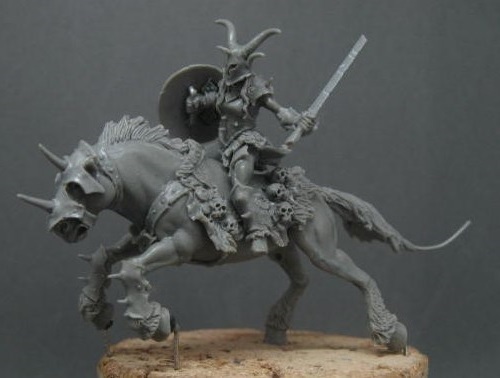 This set includes the Hoargoth the Heinous model rider and horse and one 55 mm round plastic base. All figures are cast in high quality lead free white metal and are supplied unpainted and unassembled. Not recommended for children under 14 years of age. Designed and sculpted by Tre Manor. Submitted by Miniset on 24 November, 2016 - 06:16 (286592). Variations of set rbg-0321 Variations of this set's assembly, sets with same id.